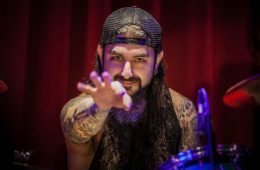 In the latest issue of U.K.'s Metal Hammer magazine, drummer Mike Portnoy (THE WINERY DOGS, DREAM THEATER, AVENGED SEVENFOLD, ADRENALINE MOB) was asked by TESSERACT's Jay Postones what the chances are of Portnoy ever playing with DREAM THEATER again. "If I was a betting man, I wouldn't put money on it," Portnoy replied. "And that's not my doing. I never say never and haven't closed any doors. "I'm a very nostalgic person; I forgive and forget very easily… but I think the guys [in DREAM THEATER] have made it very clear they have no interest in looking backwards. "Those guys were a huge part of my life for a very long time, so I'm open to anything, anytime. "I guess the ball's in their court. We shall see." 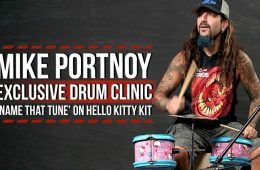 Portnoy, who co-founded DREAM THEATER more than 27 years ago, abruptly quit the band in September 2010 while on tour with AVENGED SEVENFOLD. 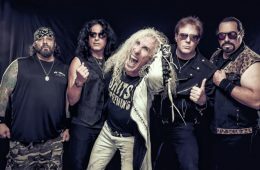 He has since been replaced by Mike Mangini (ANNIHILATOR, EXTREME, JAMES LABRIE, STEVE VAI). 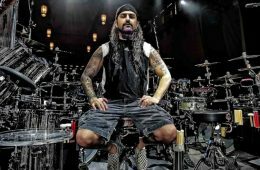 In an October 2013 interview with Brazil's "Wikimetal", DREAM THEATER singer James LaBrie stated about his current relationship with Mike Portnoy: "I haven't spoken to Mike since he left the band. "Myself, personally, and the way that the band feels is we're moving forward. Mike Mangini is our drummer and he will remain our drummer until the day that we're finished doing this. It's just the way that it is. 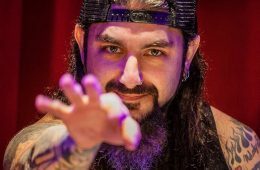 "The reason that DREAM THEATER is moving on is because we have somebody that completely clicks with the band, he understands the band and he's helping us fulfill our musical aspirations. 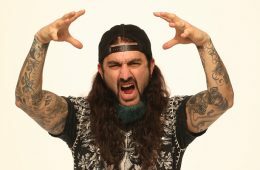 "Mike [Portnoy], you know, he's moved on, he's working with musicians and doing the things that he wants to do musically, and I think he's happy with that. But as far as DREAM THEATER [is concerned], this is who we are and this is who we will continue to be. Mike Mangini is our drummer, and he will be."